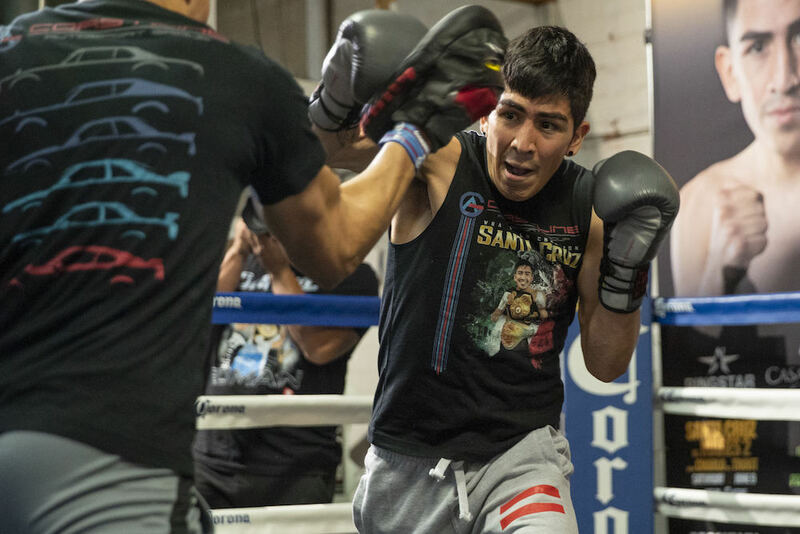 Both Leo Santa Cruz and Abner Mares are deep into preparations for their anticipated rematch set for June 9, 2018, in downtown Los Angeles. The featherweights battled in a spirited effort that was won on points by Santa Cruz in August 2015 and even though Mares went on to win and defend the World Boxing Association title following the loss to Santa Cruz in what was a battle for home turf at the Staples Center in Southern California, Santa Cruz doesn’t see things changing in part II. 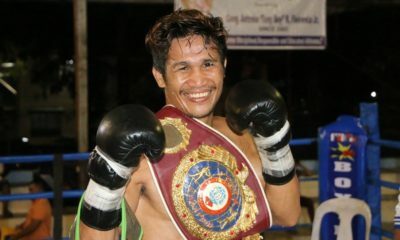 Santa Cruz, (34-1, 19KO) from Rosemead, California, has held a version of a major world title since 2012 when he was a bantamweight. Santa Cruz’s only setback was a majority decision loss to Carl Frampton, a candidate for last years Fight of the Year and also another anticipated rematch if it occurs. 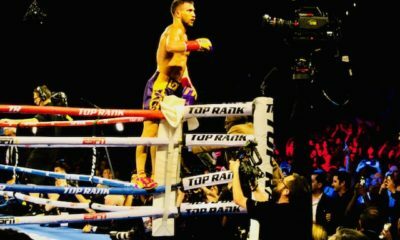 Meanwhile, Mares, (31-2-1, 15KO) from Montebello, California, bounced back beautifully from his shocking first-round KO loss to Jhonny Gonzalez in 2013 (a fight covered live by 3MR). Mares had a nearly year-long layoff before getting back in the win column and after a string of three wins, Mares took on Santa Cruz. Mares, who bulked up in muscle for the bout, started strong yet faded late as Santa Cruz outworked Mares down the stretch. “I feel great right now. I’m strong and in really good spirits. I feel like I’m going to be peaking at the right time. 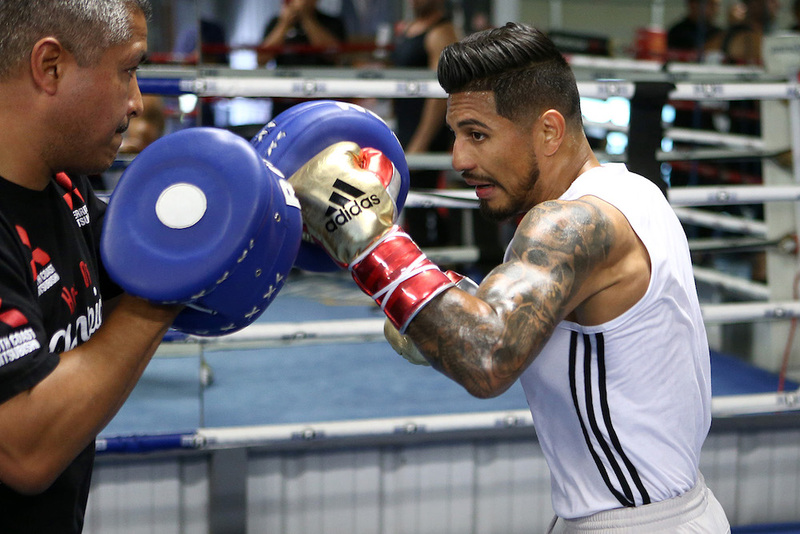 I’m on weight and on track for fight night”, said Mares, who is now under the guidance of noted trainer Robert Garcia in Riverside, California. “I’m confident because I have such an experienced trainer in my corner. I’m just trying to be the student to his master teachings and absorb everything he tells me. I’m always asking him to push me and tell me when he needs more from me. The co-feature is a match between WBC super welterweight titlist Jermell Charlo and Austin Trout. Showtime will televise the Premier Boxing Champions event. 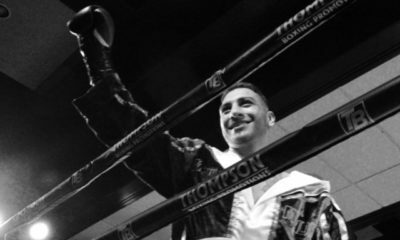 Manuel Espinoza discusses his upcoming fight. Porras looking to get back on track.